Hello again! 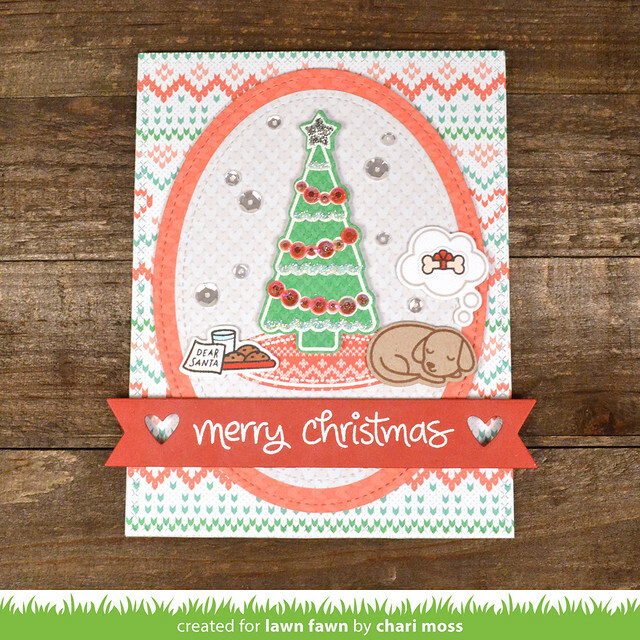 Today for Lawn Fawn Inspiration Week I have a Christmas card to share using the cute set Christmas Dreams. I went back to some simple paper piecing with the Knit Picky paper collection by white embossing the tree and rug onto the green and red pattern papers. The little dog is stamped with Walnut ink on kraft cardstock and the dream cloud is Narwhal ink on white cardstock. The only color I did on this card was the little bone and the cookies and milk. I added some Cherry Jewels from Lucy's Cards to the garland of the tree and some Prisma glitter along the edges. I also added Silver Stickles to the star. The sentiment is white embossed on Chili Pepper cardstock cut with a Sentiment banner and I also die cut little hearts on the ends. I finished it off with some clear sequins like little dreamy bubbles all around. Absolutely perfect !! The gems garland is such a clever idea !! Congratulations ! Love the scene you created and how you used the patterned paper! Love the tree! 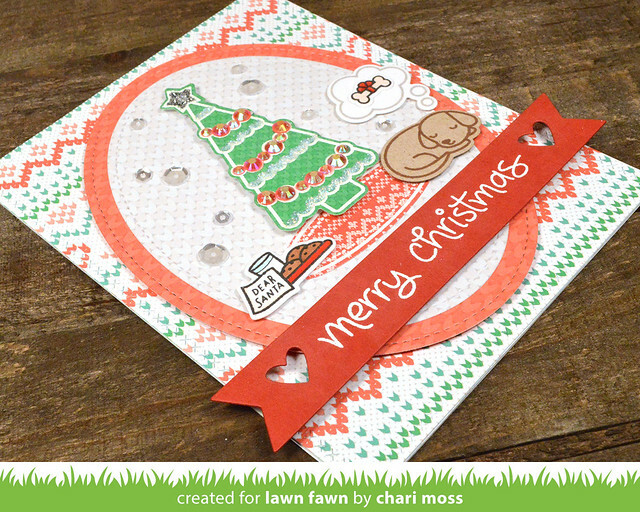 Awwww, Chari, what a sweet scene you created on your card. These are the sweetest stamps, well done!